A few parts Minecraft, a few parts Dragon Quest, and a whole lot of fun! 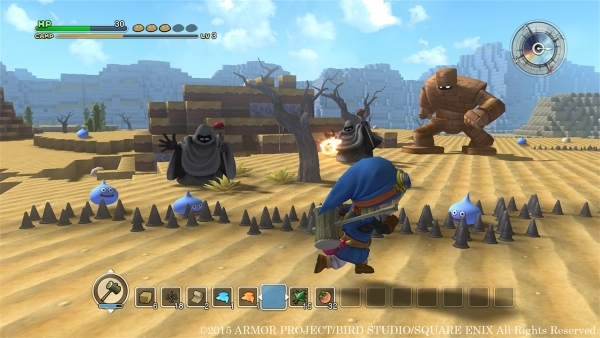 Some of the first screenshots have surfaced detailing what you'll be able to do within the wide world of Dragon Quest Builders, and it looks like it's a familiar amalgam of games we've already played! But that's certainly not a bad thing. Though there are plenty of familiar elements, it has plenty of opportunities to come into its own as well. 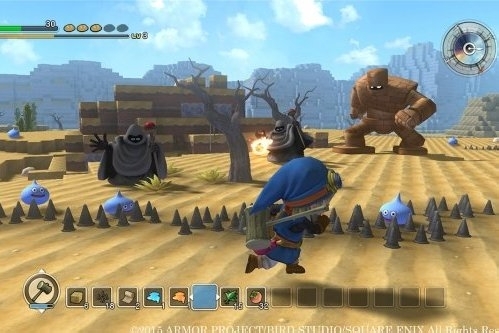 As players make their way through Alefgard, they'll have to mine for materials, square off against monsters, and hoard materials to build their own dwellings. Shown in the screenshot above, it looks like you'll have to eat food to keep from going hungry, ensure your HP doesn't drop to zero, and meet certain "camp" requirements thanks to the gauge in the upper left corner. The game is scheduled to come out this winter in Japan, and hopefully the West not too long afterward.